Does dictate of the twin gods abilitly resolve if it is exiled? Gift of Immortality interaction question. 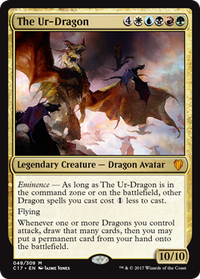 Or, we could do what makes far more sense - just let Wizards print planeswalkers that are specifically designed to be played in the command zone. Of the 11 walkers they've given that ability to, 3 (Teferi, Daretti, and Freyalise) are very powerful, two more pretty strong (Saheeli and Windgrace), and the others (Nahiri, Ob Nixilis, Estrid, Aminatou, and the two Kenriths) are all playable. Teferi and maaaaaaybe Daretti are the only ones approaching broken. Blanket okaying all walkers is asking for trouble. Saying we're okay with some but that bans have to happen means that cards like Tezzeret the Seeker and Ugin, the Spirit Dragon and Elspeth, Sun's Champion are removed from the game, despite being entirely reasonable as part of the 99. I think a good creature comparison would be Kokusho, the Evening Star . If he shows up out of the 99, he's strong. He's irritating to deal with, and there are other cards that can make him better (reanimate, etc). But if I hit him with Utter End or Bojuka Bog , he's handled. As a part of the 99, he's strong but acceptable. When he's in the command zone, he's oppressive and devastating. The deck can be built to reanimate time after time, and all the normal ways to answer him just put him back in the command zone to try again. The same will be true of walker-decks. Sure, mfogle, Doubling Season currently only sees play in superfriends. 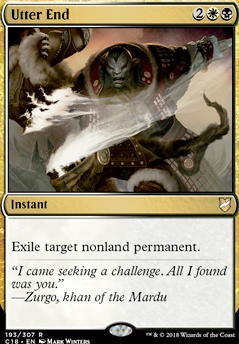 But why not stick one in your Ajani, Mentor of Heroes deck to gain 100 life instantly. Or your Arlinn Kord Flip deck to ult her one turn later. Or your Garruk, Caller of Beasts to turn every creature spell into a second creature immediately. Perhaps we could turn Kiora, Master of the Depths into a reliable four-mana emblem plus three 8/8's. My point is this. The reason Doubling Season is so good in superfriends is that it wins the game with most->all of the walkers in the deck. If one of those walkers is in the command zone, do you really think people won't run it? Or the Chain Veil? The deck stops being built around walkers-in-general and gets to be tailored to whichever one fits a players playstyle, whether that's weenies with Elspeth or stompy things with Garruk. Hi there, two things that I have to say. 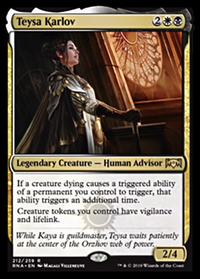 First I would advise you to get Lightning Greaves or Swiftfoot Boots or maybe both,because with Atraxa as commander you will probably get targeted heavily by the group and she is a lightningrod for creatureremoval so a little Protection may help to keep her on board a little. Second problem I see is that you don't run true removal spells,and with that many troublemaker cards out there it seems risky,so mache you can get things like Utter End , Anguished Unmaking or Vindicate ,other creature/artifact/enchantment removal also helps I just chose these 3 spells because they can hit pretty much everything.